I'm inclined to agree with your sageness but I'm not sure why. Holding a book, or magazine, in your hand simply cannot be emulated by technology. That said, having half a century of a magazine stashed on your hard drive is a valuable personal resource. An expanding consciousness and quest for knowledge will need all resources, paper and electronic. 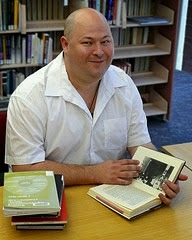 Dear Walter,I do not think that you are an anachronistic,'naive fool living in the past'.If this is the case,you are not alone.There are very many of us who also cherish the published book & article in their original paper format!They are lovely items to 'have & to hold' & preferably to own. They must meet some special need that we have that ensures that they are there if we wish to re-read them,refer to them or just accompany us in life! I cannot quite decide if 'We are the children of our books, or they are akin to being our children'.We are invariably influenced by reading them; however, we have usually chosen them to come into our lives'.Last year I developed significant asthma & took advantage of this occurrence to 'declutter my home'...This is a 'goal' I have been working on for the last decade:obviously very SLOWLY,& possibly somewhat reluctantly !! Most of my so called clutter is in fact paperwork:articles;'downloaded' photocopied articles;journals & correspondence.Inevitably most of it had to go.What I did find hardest was to choose which of my many books I could manage without.It was exceptionally difficult.I have already had to cull many of my books in the past, having moved on more than a few occasions.I would have loved to have kept them all, including some of those of my now long deceased parents.Sadly,the removal 'quoted fees'required that some items had to become expendable... 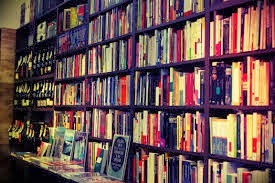 Invariably, over time I replaced many of those books,often from 'opportunity shops' :a great source of some wonderful, but no longer 'in print'volumes....Yes,I have already 'replaced' some volumes that I gave away last May! Whilst I have browsed thru 'e books',I cannot'connect' with them,nor consider them an alternative to a much treasured book.For these I am more than happy to find a place in my home,having already a place for them in my heart...Dear Walter,you are very far from being alone in loving real books with which we can surround ourselves.They often tell their own bibliography of our lives.Like music, plays,world events we may recall where & when we first read,certain books that have contributed to us becoming the individuals we now are...and indeed the individulals we are still evolving & becoming!Long may the printed book remain with us!Best wishes,Maggie A.
Dear Peta, how wonderful to have had a career in the world of children, books and reading.I am quite envious that you now have grandchildren to buy books for,and importantly to read to and with.These were my most favourite times with my own sons.As they approached adulthood I discouraged them from owning motorbikes and marrying at too young an age.In spite of this I assiduously amassed a large collection of childrens' books.Of late I have had to curb this enthusiasm, but continue buying books for other children and adults alike.And yes, both my sons remain unmarried!Though I feel the twinkle in their eyes could mean that I may not have too much longer to wait!Spending time with children provides us with the opportunity to experience the sheer unalloyed pleasure of being fully in the pesent magical moment ... often accessed through the wonderful medium of books! Joy. Hello Joy, you are so right about the pleasure of children for me it is through the eyes of children that i am reminded of my own inner child- thoughts, feelings, awe... reading stories was my favourite time as a teacher librarian and now with Max. i also loved teasing older children by reading exciting bits and stopping at a dramatic revelation, this got their interest piqued and there would be a mad rush to claim it. 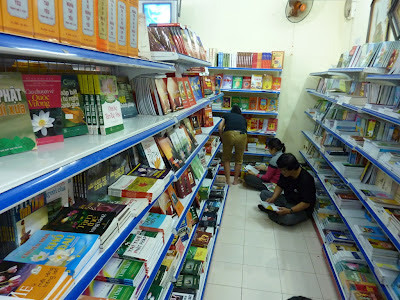 It also surprised me to find that adults also love to be read to, and here it was me thinking that it was only me who enjoyed the experience! i would encourage you and anyone who is interested in sharing their love of books and reading to contact a group that connects grandparents to families that either don't have grandparents or live too far away from - adopt a Grandparent http://www.adoptagrandparent.com.au/index.php - there are also schools that encourage grandparents/older adults to participate in their reading enrichment programmes - check in your area. These opportunities will spread your love of reading in happy preparation for your future grandchildren, while benefiting children in your area. i cannot pass the picture book section in any bookshop and have amassed an eclectic collection that appeals to me and my grandson. Yes i really don't think hard copy books will disappear in the near future Walter, there are too many of us that enjoy them too much. much pleasure is ahead of you Joy. Dear Peta, Thank you for the information regarding reading schemes linking adults with children.What a wonderfully creative pairing.I can certainly see that your chosen profession must have been a mutually rewarding experience for yourself and those in whom you helped to foster a love of reading. 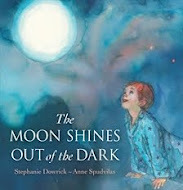 Really good childrens' books are a wise long term investment in my opinion.I am certainly looking forwards to obtaining Stephanie Dowrick's new release: 'The Moon Shines Out of the Darkness'. I may not be a Grandmother yet, however, many of my friends are! And how could I not also have two extra copies 'to put aside' for the future! 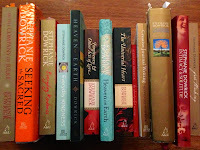 Like 'A thing of beauty, I feel that a good book is also a joy forever!' Joy. Thank you, i really loved my time as a Teacher Librarian i learnt so much from all those hundreds of children who spent time with me. Comments are so welcome no matter how long it is since the original article was published. This whole book club site is set up to remain "fresh" - which is also what the best books do! They can be years old, and utterly "now". "Long love the book"could be our motto! Thank you and please keep commenting. Do enjoy the article we have just posted (December 2012) from Peta Kelly on reader activism and how books have seen her through tough times!